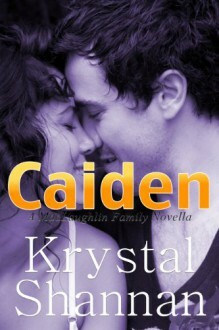 Romance author, Krystal Shannan, lives in Texas and is married to the love-of-her-life. They have a spunky young daughter who believes in fairies and keeps them both on their toes. Krystal professes to loving shoes, but avoids wearing them at all costs. She is a SyFy geek at heart. Anything and everything that has to do with magick, supernatural, or paranormal is her cup of tea. Which, by the way, she drinks by the gallon. If she’s not curled up on the couch with her laptop creating sinfully delicious stories with just a splash of humor, she’s probably watching movies like Underworld, X-Men, or even Die Hard (nothing wrong with a little action, right?). She doesn’t think so. Favorite TV shows include, but are not limited to… Lost Girl, Merlin, Warehouse 13, Castle, Rizzoli and Isles, True Blood, Vampire Diaries, and Revenge. She enjoys reading romance in all genres, but especially paranormal. Her favorite book is ACHERON by Sherrilyn Kenyon. But really, if it has a ‘Happily Ever After’, she’s on board!